/sir-ian-mckellen-wraps-shooting-on-the-hobbit-trilogy/Yesterday, director Peter Jackson said goodbye to Gandalf forever as Ian McKellen wrapped shooting on The Hobbit: The Desolation of Smaug and The Hobbit: There and Back Again, finishing pick-up shots and extra scenes in New Zealand. 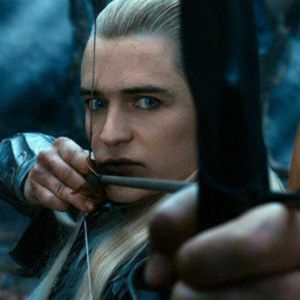 Today, Peter Jackson says goodbye to Legolas forever, as Orlando Bloom wrapped an intense 16 hour day on set fighting an Orc. Here is a special message from the director, along with a special video made for fans as beer was passed amongst the crew. Jackson also makes note that yesterday was Evangeline Lilly's final day on set as Tauriel. "A day after saying goodbye to Gandalf and Tauriel, it was time to farewell Legolas. What a great day it was, with Orlando battling a serious Orc for all 12 hours of shooting - part of the Battle of the 5 Armies for the third Hobbit movie. When we finally got the day done, we said goodbye to Orlando, had a couple of beers ... and couldn't resist doing this!" Fans themselves can say goodbye to Legolas and Tauriel on December 13 of this year, when The Hobbit: The Desolation of Smaug debuts in theaters, followed by the December 17, 2014, premiere of the final chapter in this trilogy The Hobbit: There and Back Again.